Armorcoat safety and protective security window film offers the most complete protection available against these glass related threats. Window film is a clear virtually invisible layer of protection that is applied to your glass or windows. Security window films and, window glass protection film is designed for security window protection that covers you with invisible forced field level security when installed properly on your glass by our security professionals. Glass security is very important when you are trying to protect from vandalism, hurricane, and offer safety to your family that truly provides peace of mind solutions. Bomb blast window protection films offer a burglar level barrier that they don't want to deal with and move on to the next house. Sure you can install storm shutters or bullet proof windows, but who wants to go to all that trouble and expense when you can achieve virtually the same museum level security and burglar protection from installing window film applied professionally to your glass windows and doors. We also have window film treatments that provides solargard and solar guard control for environmental temperature sensitive areas to provide green savings and energy management for your home. Taking into account that people should not throw stones at people who live in glass houses is only a statement you can make when you have professional protective security safetey window film on your home or business. Windows are the most vulnerable for a burglar to enter your home. 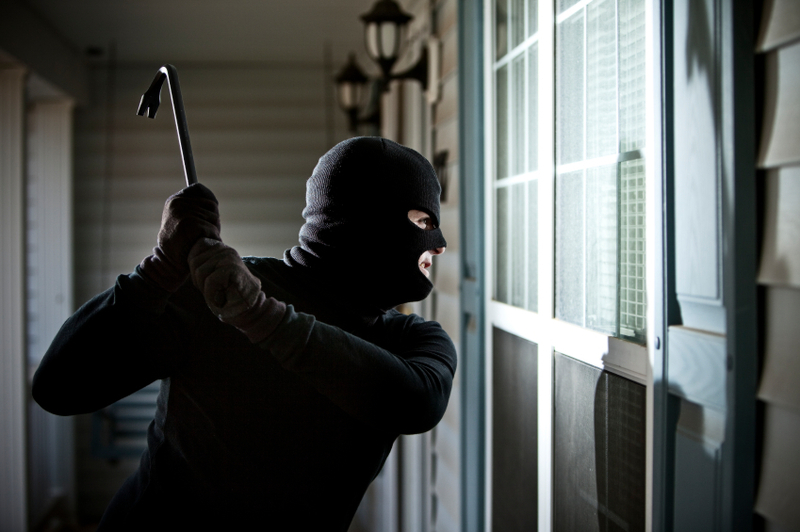 According to Crime Reduction Canada, a third of all break-ins are through a window. The longer it takes a burglar to break-in the more likely it is that he or she will be discouraged and leave and ultimately caught if they continues to stick around. Window security film acts as an invisible force field protecting your windows from smash and grab the coined phrase that criminals use to get your possessions. . When an intruder attempts to smash your window with a rock or another burglar tool and realizes that entry is not a walk in the park and can't break-in chances are they will leave in a hurry. Sure its east to break a window and climb in and you probably are wondering why no one has thought of that. Well it happens every day and you should be ready to deal with this method and realize as simple as it is to break a window unlock the door and come in, its also as easy to protect your home and family and keep them out. Keeping it simple is often the best way to provide effective security and it usually starts right at your front door. When dealing with the perimeter of your home and business, start by walking around your premise and determine how easy it is to just pick up a rock and toss it at the window. Cost effective window protection is a fundamental component of our physical security protection packages and should not be overlooked when designing a overall security plan for your home and family. Secure glazing can all also provide many benefits beyond the obvious physical ones you will get from installing window film on your windows. Each and every member of your family will also gain the peace of mind provided by a solid security system that you truly can't match with any other single security product we can offer you. Your family can remove many of the negative issues relating to fear of personal safety which can become distractions to personal productivity and personal comfort and truly feel safe in their castle. Removing many of these issues through aesthetically neutral security solutions has been one of the guiding principals of the installation of window film philosophy of risk assessment for your home and business. Through the selection of an appropriate combination of products, including a wide range of film types, a custom security solution can be created to meet your exact needs and budget to protect your home and family from forced entry today. 8 MIL is the most popular of our commercial security film versions. Clear and optically virtually perfect, the film has mechanical properties exceeding many laminated glass alternatives including commonly available “riot” glass. The benefit of window film is the ability to attain attack resistance standard without the cost or inconvenience of replacing existing glass. Window film is retrofitted onto the interior surface of the glazing already in place and is virtually undetectable. Window film can also be installed onto laminated glass producing an extremely tough composite for selected areas more vulnerable to attack. Once the right security film strength and composition has been chosen for your windows, our Pre-lock installers move into action to ensure quick and convenient installation is done. Our film installers are factory trained experts that work together to ensure a consistent standard of excellent service no matter how many or where your facilities are located throughout Ontario. Let us review your security needs today and provide you with a no obligation security assessment. No security solution address all your security needs. Our Trained security experts will integrate all of our physical and electronic security solutions. Call today to arrange a professional review of your current security or Save 50% the cost of professional installation when you do it yourself. We will recommend solutions to provide your home and family with "Real Security Under Lock & Key". Visit our security showroom today!! !